Maybe we’ve been spoiled by technology, but sometimes reaching for the iPhone and mashing the “snooze” button on the touchscreen is just too much early-morning thinking for us. 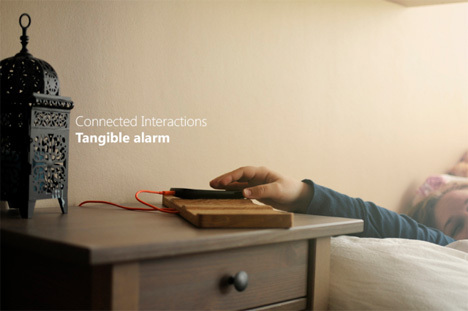 Victor Johansson must have felt the same way when he created the Tangible Alarm. 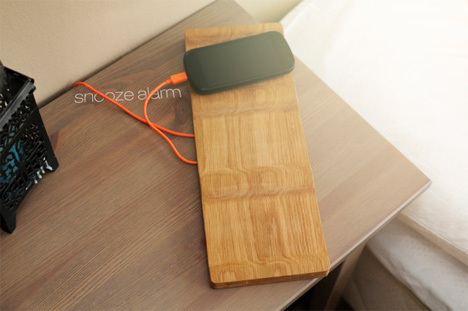 The alarm looks like a piece of wood with three iPhone-sized slots separated by raised pieces of wood. 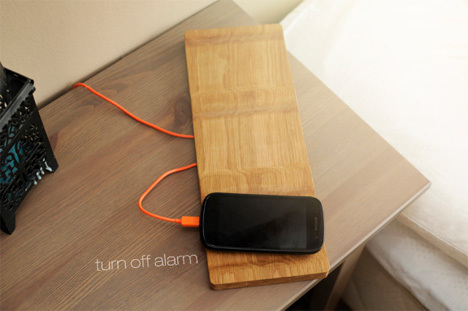 Inside, there’s some near-field communication (NFC) technology going on that means all you have to do in the morning is pick up your phone and move it a few inches. The middle slot turns the alarm on. In the morning when the alarm wakes you, you can move the phone to the right to snooze it or to the left to shut it off completely. The simplified interaction is much less complex than having to interact with the touchscreen while half asleep. Those of us who are severely myopic and don’t want to put glasses on just to find the “snooze” button can relate to just how awesome this alarm is. 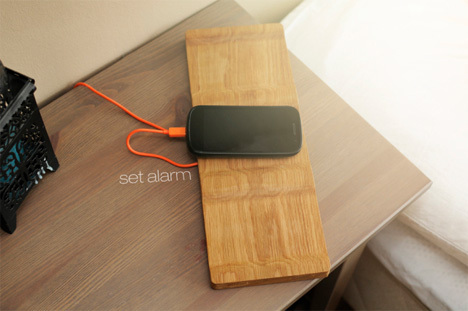 Besides being useful and easy to use, the Tangible Alarm looks quite lovely sitting on your bedside table. Much better than the traditional alarm clock with its too-bright numbers and ugly plastic case. See more in Clocks & Watches or under Gadgets. May, 2013.